THE new E-T-A ElectroTechnical Applications’ monitoring head, MKV has been especially designed for applications where flow monitor and monitoring head have to work independently from each other and for applications involving big pipes or pipes with a thick insulation. 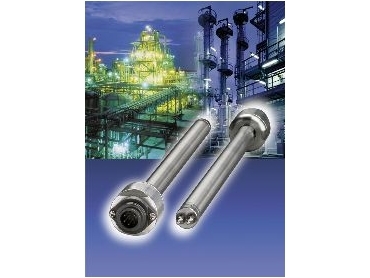 Together with the flow monitors SW119, SFW209 und SW201 in the chemical industry, it is suitable for a wide range of applications, plant engineering and construction, process control and steel plants. Monitored media are water and watery liquids, oils as well as air and gases. Major features of this new monitoring head are its optimised design for special applications and its suitability for a wide temperature range of -25°C to +100°C. Installation is easy - use a threaded installation bush with stainless steel compression ring, which is pressure resistant up to 25 bar nominal pressure. The method of operation of the E-T-A flow monitors is the calorimetric principle. They have no moving parts in the flow stream and are practically wear- and maintenance-free; impairment of the medium is excluded.